California Pizza Kitchen is a restaurant chain that originated in Beverly Hills, California in 1985 by attorneys Larry Flax and Rick Rosenfield. They are widely known for their innovative and non-traditional pizzas like BLT, Original BBQ Chicken pizza, Jamaican Jerk Chicken pizza, and Thai Chicken pizza. Aside from their not so usual pizza flavor choices, California Pizza Kitchen also serve different kinds of sandwiches, soups, salads, and desserts. They also have a widerange of menu for children ages ten and below which includes salads, pasta, chicken, and of course, pasta. California Pizza Kitchen has about 200 locations in 32 states and 13 other countries. They have 17 California Pizza Kitchen non-traditional branches and franchise concepts which are specially designed for stadiums, universities, and airports. The company’s brand also has a license to a line of crispy, gluten-free, and hand-tossed style frozen pizzas in supermarkets. But how did giant casual dining pizza chain started? In 1985, attorneys Larry Flax and Rick Rosenfield founded California Pizza Kitchen by collecting 200,000 dollars in savings and bank loans together with 350,000 dollars invested from friends for them to lease space on Beverly Drive in Beverly Hills, California. Their approach behind California Pizza Kitchen was simple because both Flax and Rosenfield wanted was to provide an upscale, casual, family restaurant that offers good food. Most of CPK’s kitchens are out in the openso that their customers can see the cooks prepare their pizzas. They baked their pizza in wood-burning ovens that were imported all the way from Italy and they cook the pizza to 800 degrees Fahrenheit for three minutes in order for the ingredients to sear into the pizza dough. Their cooking preparation results in a tastier and healthier pizza. Their first ever menu, which featured the famous BBQ Chicken Pizza, was created by Ed LaDou a pizza chef at Wolfgang’s Puck Spago restaurant. Flax and Rosenfield then decided to add soft drinks, pasta, salads, liquor, and dessert on their menu. And since then, California Pizza Kitchen became a success and the next thing they knew, CPK expanded throughout Southern California. Seven years later after their opening, CPK had about 26 branches. In 1992, PepsiCo bought almost 67 percent of the pizza chain for nearly 100 million dollars where Flax and Rosenfield both received 17.5 million dollars each. However, the PepsiCo management wanted to gain more experience on operating casual-dining, and moderately priced restaurants that’s why they finalized their deal for 97 million dollars with both Rosenfield and Flax receiving 20 million dollars each. After their agreement, PepsiCo took two seats out of four on CPK’s board of directors while Flax and Rosenfield remained co-chairmen of the board of directors in which they have 50 percent voting control and direct day-to-day operations of California Pizza Kitchen. PepsiCo and California Pizza Kitchen’s partnership flourished from the very beginning and by the latter part of 1993, Rosenfield and Flax were operating about 35 CPK restaurants across the United States. 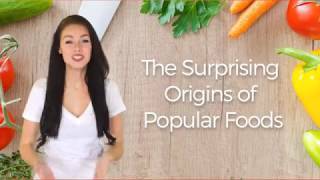 However, the rapid expansion of the restaurant turned out to be a disaster that’s why PepsiCo’s executives decided to cut corners by replacing their fresh ingredients with frozen cheese and vegetables, a change Rosenfield and Flax did not agree to that’s why they decided to reverse it after. 1994 was CPK’s best year because it was when they marked the opening of their 70th restaurant operating in 15 different states and in the District of Columbia. Their sales also skyrocketed to 120 million dollars which is a dramatic 60 percent increase compared to the previous year. And in 1995, California Pizza Kitchen had a total of 78 restaurants in 18 states and in the District of Columbia. They also added new food combinations and toppings to their pizza menu. They also introduced new items such as Tuscan bean soup and tequila fettuccine. In 1997, Sherrill & Company, Rosser, and Bruckmann, all private equity firms, bought PepsiCo’s two-thirds stake along with their intention of taking California Pizza Kitchen public in 2000. They also pushed the company’s expansion to resume that’s why they decided to hire a veteran executive named Fred Hipp to run the company. Although Rosenfield and Flax remained on the board of directors, they no longer had control of the day-to-day operations. To this date, California Pizza Kitchen is operating in different countries such as Pakistan, Philippines, Thailand, Saudi Arabia, Australia, Hong Kong, Chile, Taiwan, Japan, Mexico, South Korea, India, Singapore, United Arab Emirates, and Malaysia.